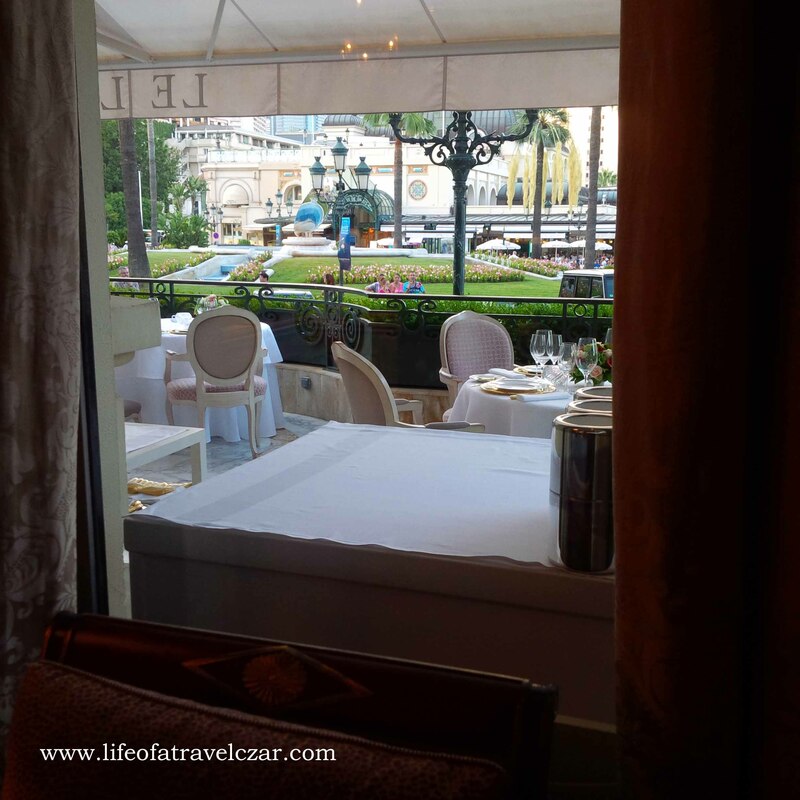 I am just loving Monte Carlo; views of the sea and the resort lifestyle – I just love it (in fact you check out my little memoir on this city here). However the real reason I ventured to this part of the world was primarily due to its fine dining. 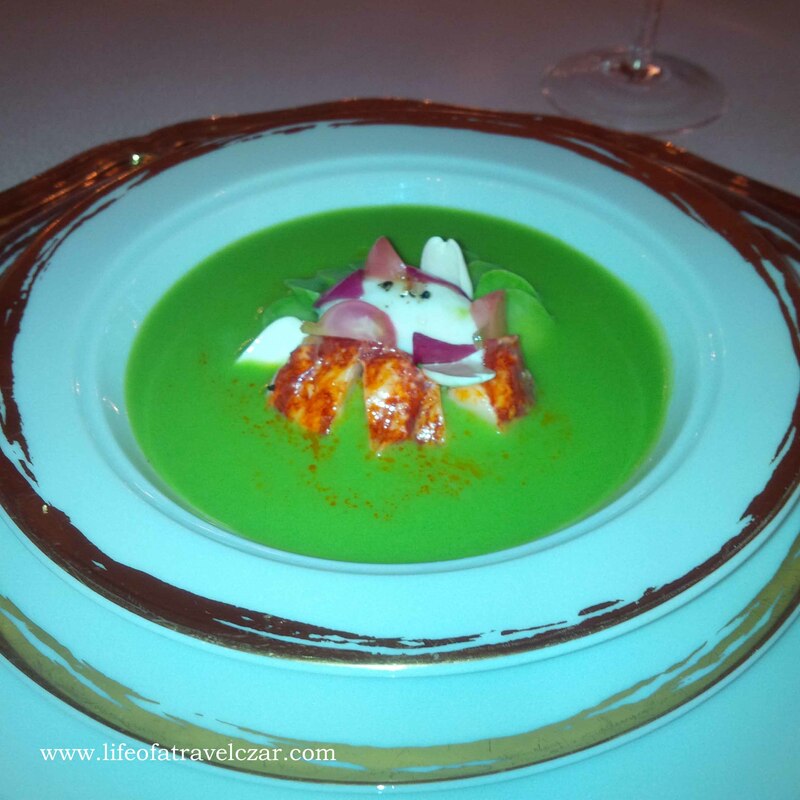 Now when it comes to fine dining experiences Alain Ducasse’s Le Louis XV restaurant in Monte Carlo is touted as one of the best. I have made a reservation well in advance for a table inside, although one can’t go wrong at an establishment like this; inside where the luxurious Louis XV decor takes your breath away or outside on the terrace enjoying the Mediterranean sunset and people watching. We arrive early and are seated in their plush waiting room until we wait for the restaurant to open with even the waiting room being such a sensuous affair. We are then ushered to our table, where we just sit and just gaze in awe at the amazing decor of the restaurant. It is designed in the palatial splendour of Louis XV era with a fresco ceiling, opulent artwork and a splattering of gold plating around the edges of the wall panes. 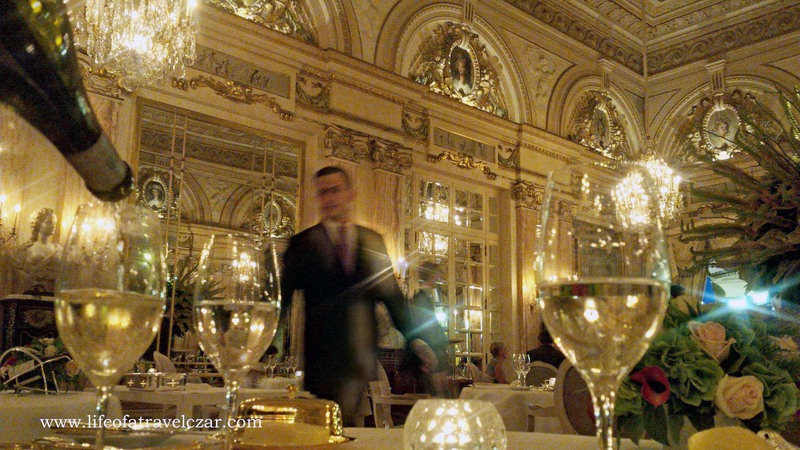 It really looks like you are dining in the private reception room of Versailles. The faces of the mistresses of Louis XV and wife of Louis the XVI surround the panels at the top of the walls, watching over your dinner. It’s quite a decadent setting. The decor and ambience are matched with the service levels, where everything is taken care of, no detail is too small to go unnoticed, no request too difficult and of course a ratio of staff to customer is almost unrivalled. 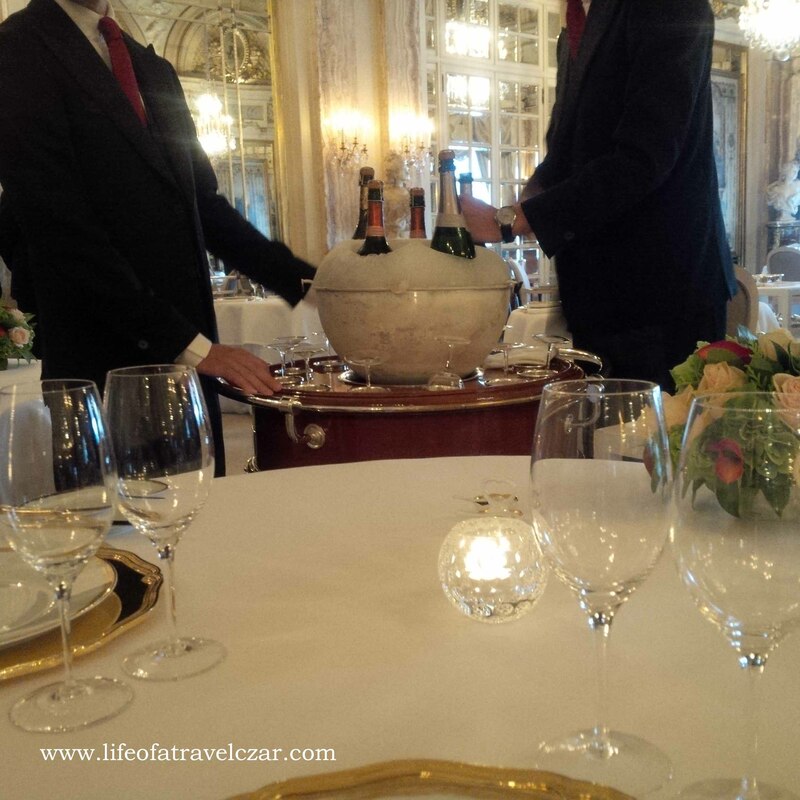 The Champagne trolley is brought out where we have a glass of champagne to start proceedings. We opt for the Pommery Cuvée Louise (2002) Brut is selected. There is a smoky waft which is released from this champagne with a beautiful silky texture on the tongue to finish. The champagne is nicely balanced with the toasty taste of raspberries, sweet raisins and honey. It is the perfect introduction to the restaurant. To start we have complimentary crisps. The thin crisps have olive and summer vegetables baked into them. They are firm crispy and the summer vegetables have a light salty flavour with the oils of the vegetables released on the first bite. The perfect summer experience paired with the champagne as we sit back and continue to admire the decor and the amazing cutlery and tableware. A range of bread rolls are offered and they all are freshly baked and form the perfect opening for the taste buds. We debate about an appropriate wine to share the evening with us. A lovely Sauvignon Blanc from the Loire Valley is chosen. 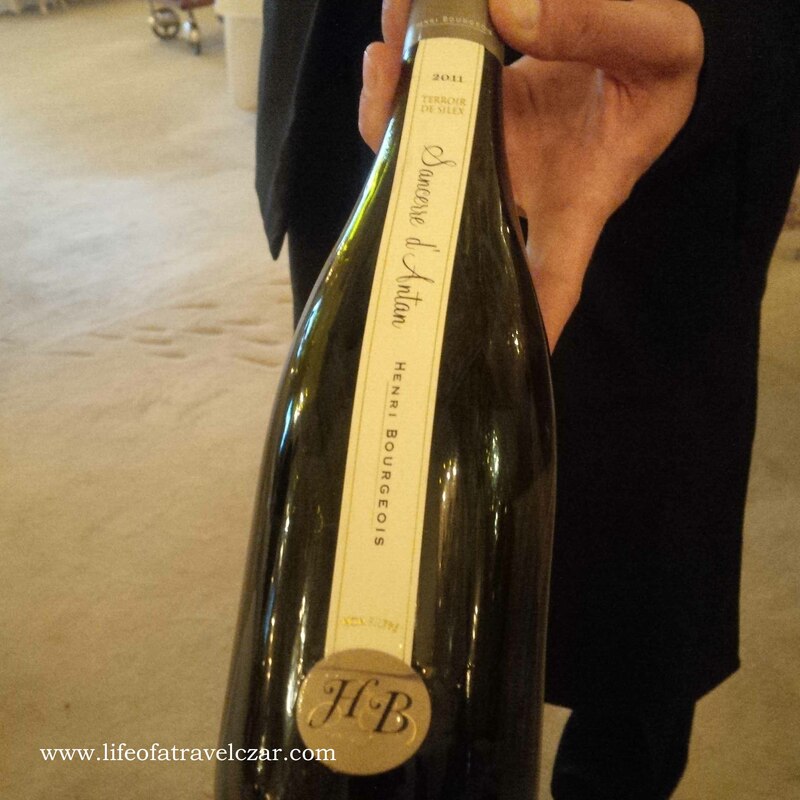 It’s the Sancerre d’ Antan Blanc by Henri Bourgeois (2011). The vineyard in question has been in the family for many generations with the vines for the grape used in this wine being first planted in 1936. The wine has the level of flexibility to pair with the majority of the dishes in the tasting today. The flint soil formations, typical of the Loire Valley contribute to the minerality of this wine. The structure of the wine is amazing with a nice harmony and balance. Upon first pour, the wine showcases its minerality, hints of fruit and spicy aromas. The wine reflects the intense flavour of the grapes with tropical fruit flavours and beautiful hints of honey. The wine is left to rest in a beautiful bucket next to a wall which adorns a classic painting. The glow of the light yellow wine just twinkles against the backdrop of the beautiful dining room as its poured into the glass. It is one for the aesthetics and the imagination. 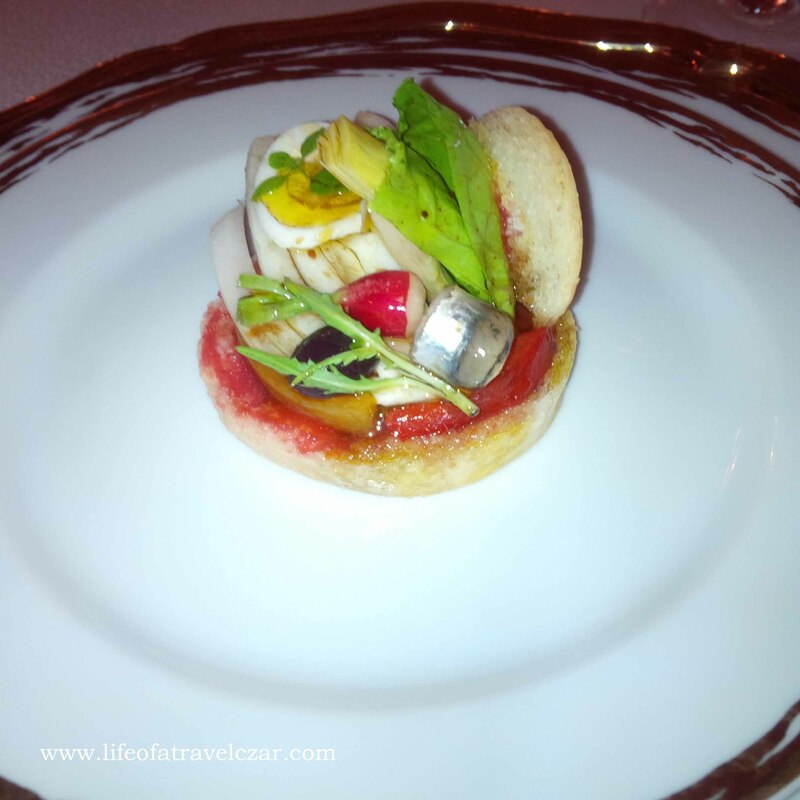 To start the main dining experience, we are provided with a Tart of Raw Vegetables. Its beautiful seasonal vegetables (artichokes, celery, tomato, radishes and lettuce) on a flaky pastry with sardines with a generous drizzling of olive oil. The textures of the vegetables provide the initial enlightenment to the taste buds, while the distinctly fishy and oily sardine is pure beauty. The flaky pastry base forms a taste sensation in the mouth as it breaks into many pieces on the first bite and mixes with the vegetables. The overall stars of this dish has got to be the vegetables and olive oil which provides a light tasting experience of the flavours from this region. The refreshing soup is perfect for summer. The veloute is subtle in taste with a lovely bright green colour. The refreshing nature of the trompette courgette (a type of zucchini) finds a perfect partner in the soft creamy ewes milk cheese which has no hint of sharpness or bite but adds a lovely creaminess to the dish. It just sails through the taste buds with a refreshingly easy flair, while the almonds (with no skin) provide a crunchy taste and introduces a nice texture to the dish. The beautiful courgette slices provide also nice soft firm texture and subtle taste to round out the dish. The succulent juicy lobster at the centre of the dish is perfect with its sweet distinct flavour on full display. The subtle flavours which surround it do not overpower it, but let the lobster shine. The dish provides a beautiful chilled start to a dinner in the heart of the Mediterranean. The sticky spelt, the fresh soft lush wild mushrooms and the vegetables, with the carrot sauce makes for a perfect “wholesome” course. The way it served makes this reminiscent of a home cooked meal. The full flavours of each of the vegetables is retained with the different textures of the relevant vegetables providing a little circus in my mouth. A light sauce is poured over to reinforce the Provencal style flavour of this dish, while the exuberant colour of each of the vegetables is such a beautiful sight. The spelt which forms the bed of this dish rounds off the experience with a wholesome grainy and herb taste and sticky texture. There is the lingering sweetness of the carrots which provide an interesting contrast to the saline nature of this dish. Simple, beautiful, wholesome and flavoursome would all go together to describe this dish. 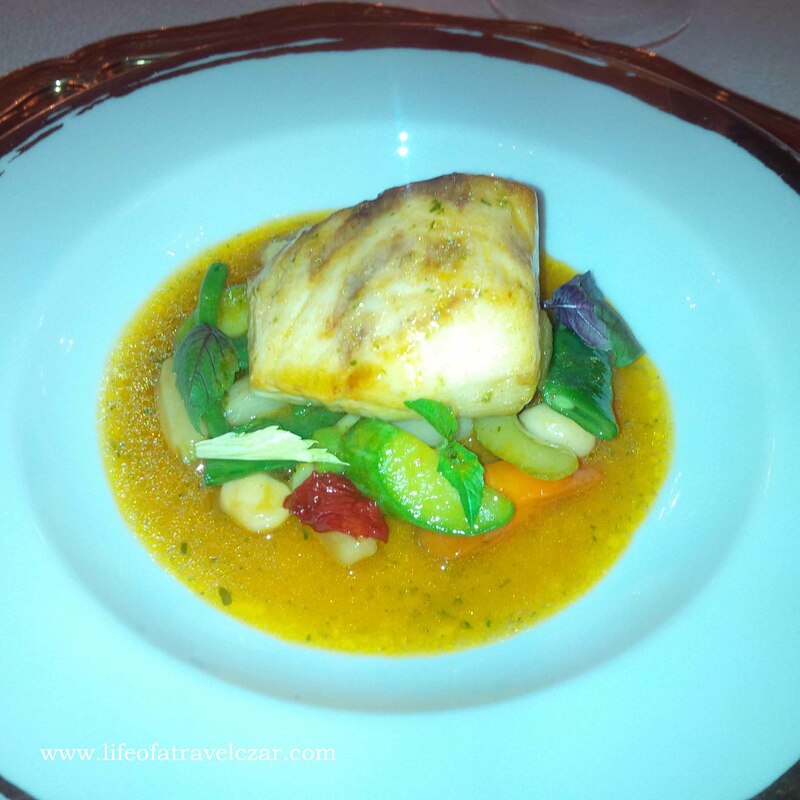 The sea bass is beautiful and the real star of this dish. It is fleshy soft, succulent but firm and retains its mild flavours and flakes gently as the fork goes through it. The light tangy and juicy underlay of the tomato and herbs in the minestrone provides a lovely sauce for the dish. The salt and light Mediterranean flavour of the olives shows its presence in the dish, while the crunchiness and flavours of the seasonal vegetables act as base. This is a dish that is all about the produce. There is a sense of amazement as one tastes what could be so simple, yet so exquisite at the same time. The succulent, tender guinea fowl is a mixture of game and poultry in taste, with chanterelle mushrooms providing a lovely unique flavour and soft texture, and the crunchy lettuce and a herb sauce giving the dish a beautiful touch of flavour. I initially thought at first glance that the herb dressing was a misplaced salsa verde until I tasted it and noticed with pleasure that it had no discernible tang. The host was also pleased to confirm it was just a mixture of herbs. The cooking jus containing the full flavours of the fowl are ladled onto the dish and they certainty showcased the deep richness and fullness of the guinea fowl flavour. 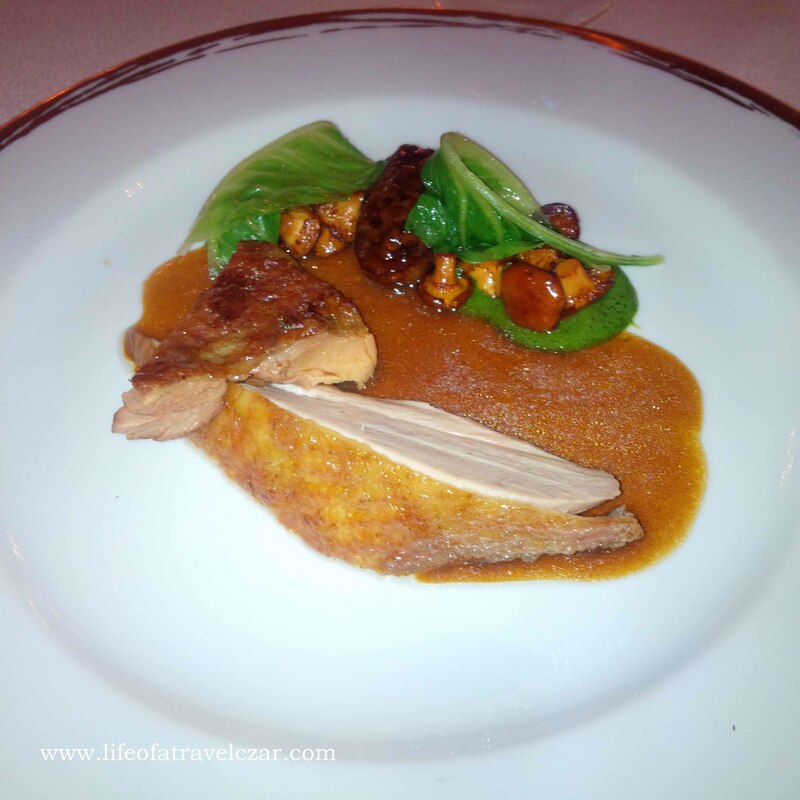 The crispy skin of the guinea fowl is also a lovely texture contrast to the meat and indeed the rest of the dish. The dish has a marquee side which is the foie gras, bone marrow and liver which was stuffed into one of the mushrooms. Its richness and fat content formed the perfect pairing with the guinea fowl. If you think about perfection, then your mind has to wander to this dish. This dish is all about the produce and it does shine through every aspect. You just feel like you’re connected directly to the produce! 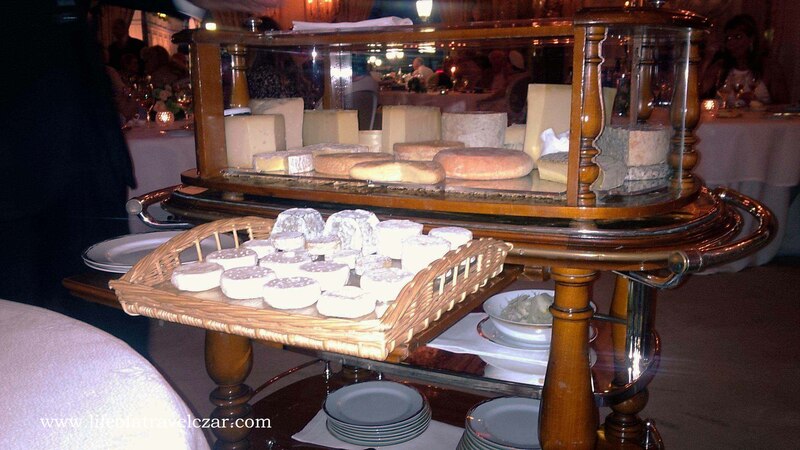 The cheese course is a selection of your choice of the wide arrange of cheese presented on a trolley. The breath of the offering really shows the thought and care when it comes to constructing this menu. I opt for the milder goats cheese on on offer, while my dining companion decides to be a little bolder with some of the more flavoursome and sharper cow’s milk cheeses. 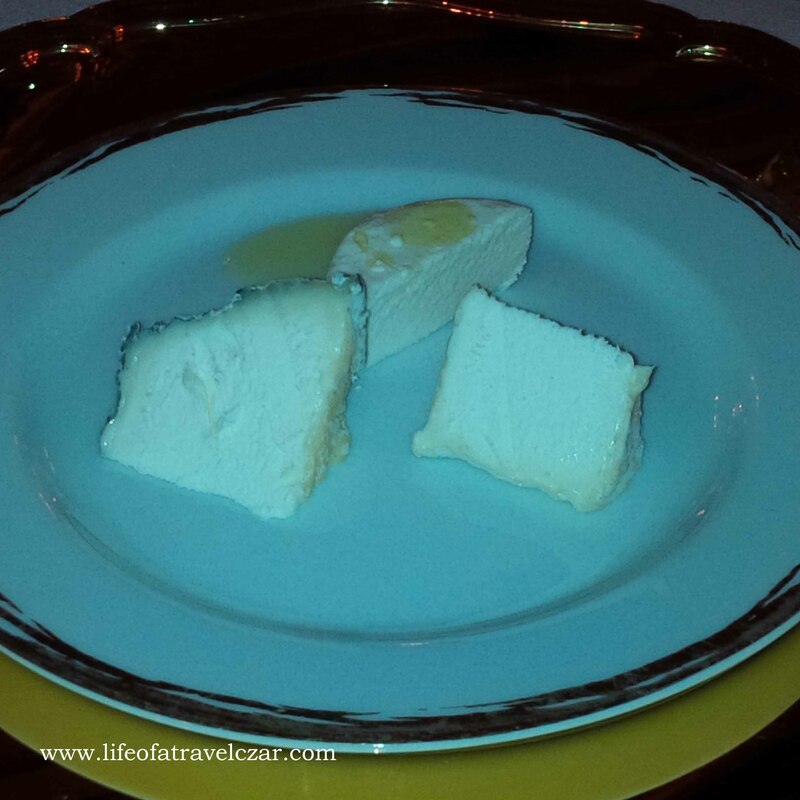 Then there is a rich Camembert style goats cheese. This one has rich buttery notes combined with the mildness of the goat milk. A very unusual and interesting tasting experience. The view as the sun draws to a close over Monte Carlo is amazing. The lights of the surrounding buildings step in to continue the glow over the this wonderful place. The photo below is taken with the waiters running across the floor to meet every need, while all the diners are just entranced by the view and the location. The night glow of the street lights storm through the windows giving the place a feel of glamorous ball or reception – it is so majestic. The table setting is then completely reset for the dessert course. It is quite spectacular and it is the most beautiful settings ever. I am in love with this table setting… it really gets one in the mood for dessert and looks oh so charming. There are some light dessert snacks brought out to get us in the mood for dessert and trust me the chocolate is something of splendour and I just love the berry fruit flavours of the tart. The chocolate proves to be equally amazing. I just love the sensual chocolate ganache textures and the release of rich cocoa flavour on the first bite. Its pure heaven. Finally our dessert arrives. We both ordered the…. The sweet and sour stone fruit flavours of the apricot is the definition of this dish. The sugary coating of the soufflé is pierced to reveal the fluffy inside of the dish which is layered with beautiful whole apricots and apricot puree. The sweet and sour nature of the apricots shine through as the mild and light base of the soufflé and makes way for an amazing sensation of the fruit’s flavour. I just love it. The mixture of the fluffy soufflé and jam like apricot filling is also the perfect marriage of textures. Then there is the baked summer batter pudding with cherries and an almond ice-cream. The summer batter pudding is sweet and tasty with the distinct sugar, stickiness and grainy almond meal texture one would expect. The ice-cream is a hit, with the strength of almond liqueur and the distinct flavour of almonds penetrating every taste bud that the beautiful ice cream has gently opened up on its initial walk through your mouth. It’s a rich and sensuous dessert experience all round with the stone fruit flavour of the apricots shine through at every opportunity. 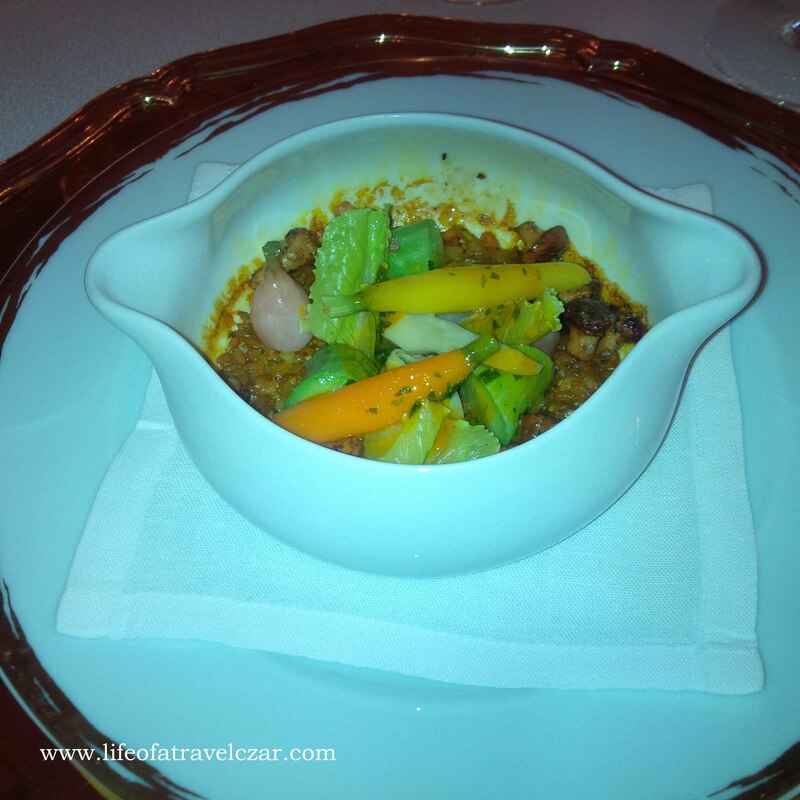 If I could describe the dinner, the service, the ambiance and the scene in a handful words, I could not, but I have always been a fan of Alain Ducasse’s famous quote that “The product is the only truth. A turbot without a stroke of genius is better than a genius without turbot”. It is so reflective of the experience, the produce defines the occasion today. The experience was the definition of culinary excellence one could only contemplate in the deepest of dreams. 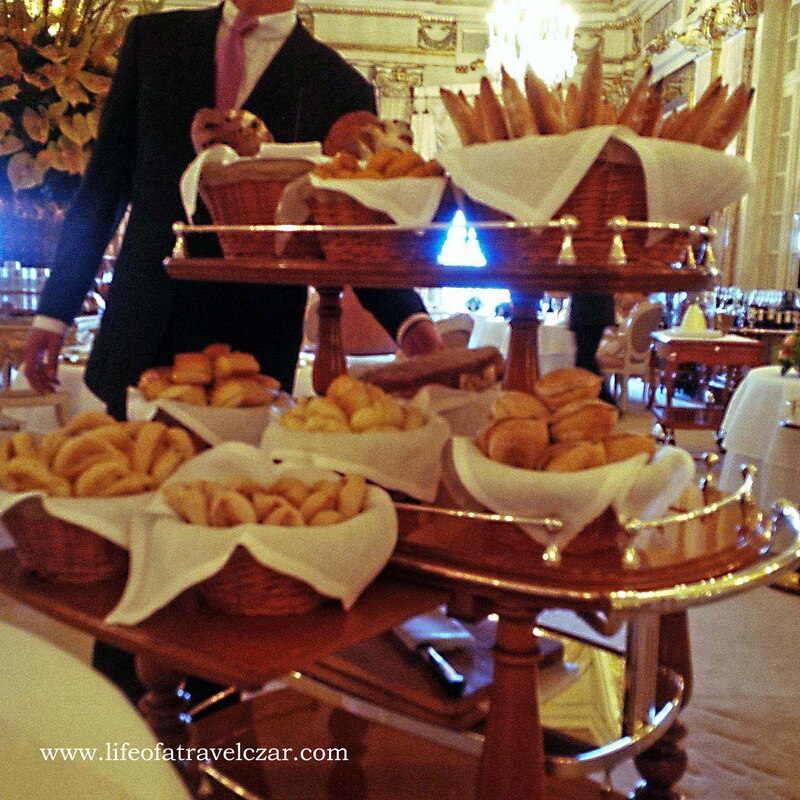 I reflect on the whole experience; the palatial setting, the cuisine, the wine and the service… and its like a fairy tale. I do feel like I was having dinner at King Louis XV’s private dining room. I could almost just imagine myself seated here counselling the King in relation to his dismissal of the Duke of Bourbon in 1726 over the beautiful soft boiled lobster. When it comes to my style of review, I typically don’t provide a score when I review a restaurant unless they achieve the perfect 10. The only restaurant I have previously given a 10/10 ranking was Eleven Madison Park in New York. I reflect on this experience and the quality of the food and I decide it deserves the full marks. 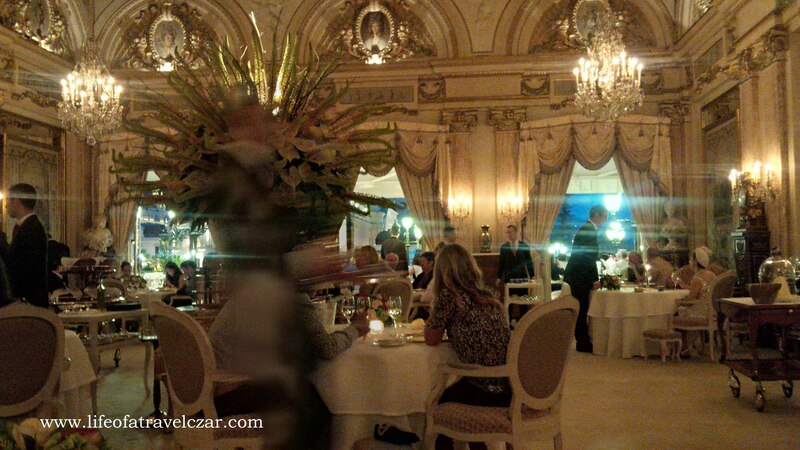 So here it is – Le Louis XV, Monte Carlo: 10/10.